Do you find your hair gets greasy too quickly? Is a ponytail your only option a few days after washing? Having combination hair can be frustrating. When roots are oily, we tend to shampoo more frequently. However, washing too often can strip ends of their moisture, and generate excess oil production on the scalp, leading to limp and lifeless hair. However, with re-balancing haircare like Extraordinary Clay, you can break the cycle of over-washing combination or oily hair. Pleasant smell. 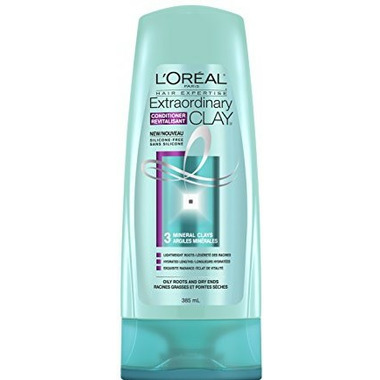 It's very dry in the winter where I live and this conditioner moisturizes my ends without weighing my hair down or making it feel greasy and still keeping the frizz under control. My hair feels really soft. I will purchase again.